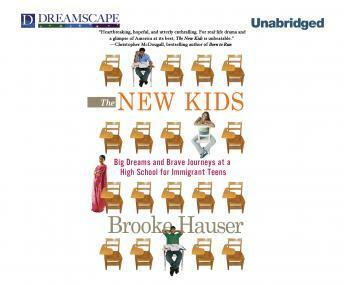 Inspired by the author's widely acclaimed New York Times article, The New Kids is immersion reporting at its most compelling. Brooke Hauser takes us deep inside a unique New York City high school over the course of a year as she follows diverse newcomers whose lives are at once ordinary and extraordinary, international headlines brought to life. No native English-speaking students attend the International High School, and more than twenty-eight languages fill the halls. The students in this modern-day Babel apply to college, fall in love, and rebel against their families like normal teenagers, but many deal with enormous obstacles - traumas and wars in their countries of origin that haunt them and pressures from their cultures to marry or drop out and go to work.